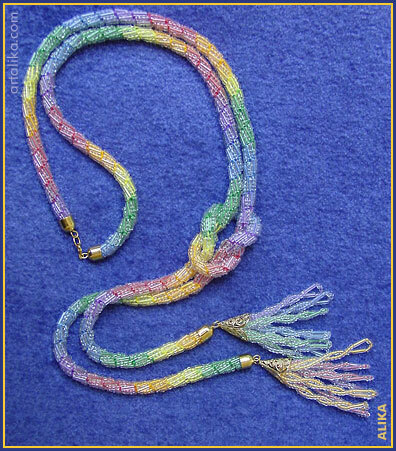 Clear transparent beads and bugles on variegated thread. It's actually two ropes tied together. I accidentally cut the thread during crocheting and proceeded with the idea of a necklace by Rona Loomis from B&B Des.2006.